I went to bed just after 2am last night and still woke up naturally 15mins before my 7am alarm clock. I’m still not satisfied with how much I’ve gotten done with the blog, but it’s gonna have to be enough for now. I still have my slideshows of the Tahoe Rim and Lost Coast Trail that I’d like to get up, but those will have to wait for another day. I’m hoping to get an intro to the Great Divide Trail post up before I start that in a week, so hopefully that will happen. 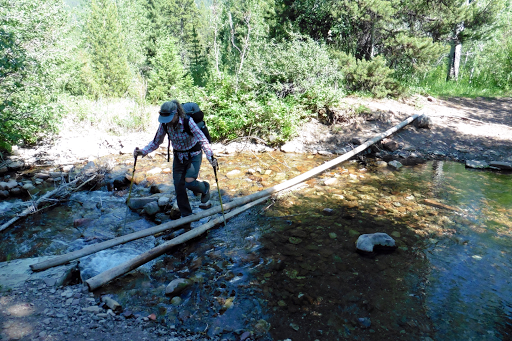 I’m trying not to beat myself up too much that I’ve fallen behind with all that I’m doing this hiking season. 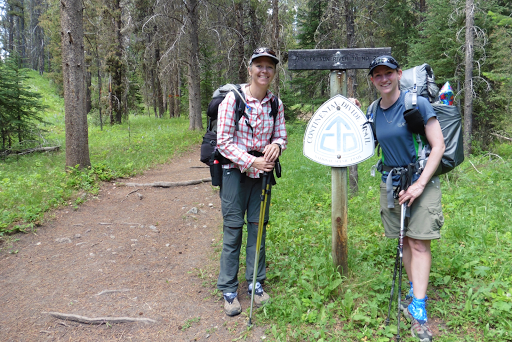 As for today, I met E and her boyfriend Andy to do the shuttle to set us up for our section hike along the CDT. It is amazing how seamless things have been with logistics this summer. It took most of the day, but by 3pm we had dropped my car at our exit point and were at the Benchmark trailhead ready to head north. We really lucked out that a friend of a friend of my brother lives out here and let us leave all our Canada resupply boxes at his house while we hiked. We just didn’t want to risk leaving two months of food in the car for various reasons and it’s great to know all that stuff is stored in a safe place. THANK YOU to Mark and Annie for helping us! 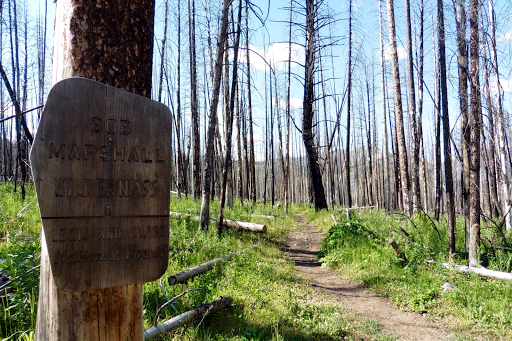 The section of the CDT that we are doing is a stretch in the Bob Marshall Wilderness that was closed to fire our year on the CDT. I was bummed to miss out on the popular and scenic Chinese Wall, which is in this section and figured now would be as good a time as any to see what I missed. The first half of the day, I was driving in my own car and got a chance to listen to a new podcast that was highly recommended to me. It’s called Mystery Show by Starlee Kline. I listened to the first two episodes and and really liked it! I won’t give much away, but basically Starlee is taking some sort of mystery in someone’s life (like what happened to a neighborhood video store that abruptly closed years ago) and solving it. Along the way, she has interactions with people, as we all do in life. Sometimes the paths cross and there’s a brief, yet impactful conversation. Starlee captures those tangential interactions on audio quite well. They often have nothing overtly to do with the end game, but it subtly shows how life is about the journey and not the destination. She interweaves it so subtlety into the larger story and they are little jewels in the podcast. Again, I recommend it and downloaded the rest. I bring this full circle by pointing out the brief interaction I had with E back in 2013 and how it was the foundation for what we hope will be a fun partnership this summer. 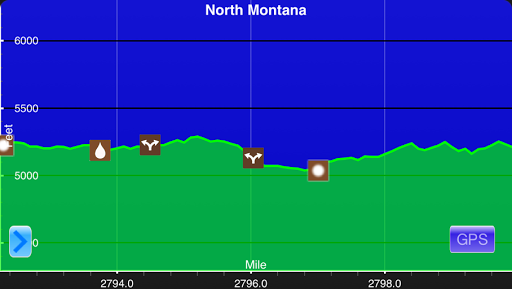 Once at the Benchmark Trailhead, Andy took our section hike start photo and headed out as we started on up the trail. This is as good a time as any to mention that I’ve already left something behind…my headphones were left at my brother’s house! That one really bugs me and I’ve done well with that the last two summers…dang! Good news is that E has an extra pair she gave me. First day together and I’m already showing her my knack for losing just about everything…The first 10mi or so is still part of what we did in 2013, so it was nice to see what we remembered and didn’t remember. 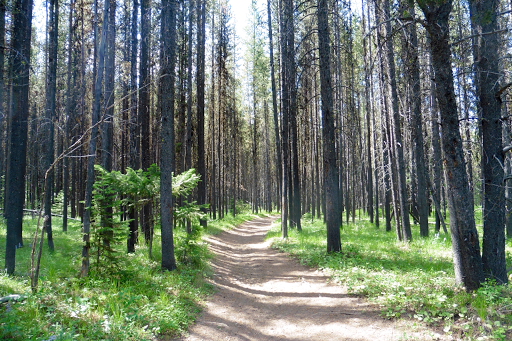 There is just something really special about getting back on a long trail after thru hiking it. Many memories and details flood back as E and I compared our experiences. In 2013, we were just a few days from each other. 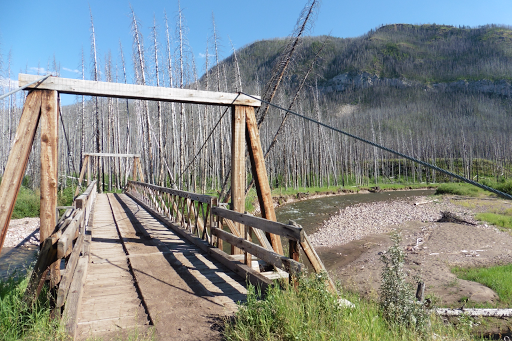 I remember the dry dust that kicks up along the trail, horses, horse prints, small stream crossings,and bridges. 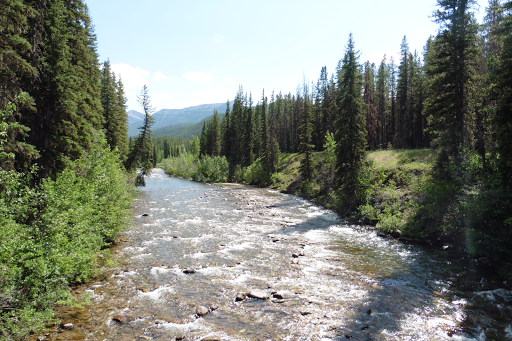 What I didn’t remember is that the trail goes along along a fork of the Sun River with very scenic stretches. It was very enjoyable for both of us and we cruised 7mi before stopping for camp. 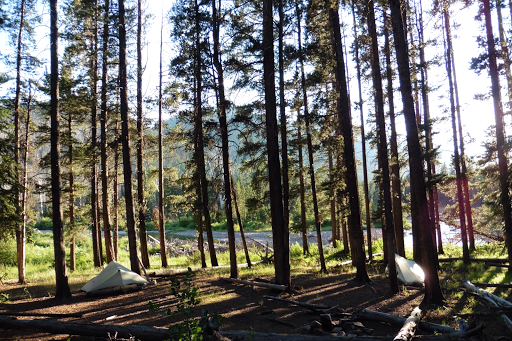 We have a wonderful camp spot just up from the Sun River. Tall thin trees, birds singing all around, a view of the river with mountains rising high above it, and nature’s white noise of the river . The flies are biting a bit and long sleeves were needed outside the tents.